Last night I attended the Women's Information Network's Women Opening Doors for Women, an annual networking event where attendees can choose to go a small dinner about different topics in professional development and politics. At my dinner, we talked about women of color at the forefront of leadership with Judith Browne Dianis, Co-Director of Advancement Project. She talked about a lot of things that resonated with me. She told us about how she balances working and raising a daughter, and about being a woman in a male-dominated movement like civil rights. But as a social media professional, one thing that stuck out to me was this: Judith Browne Dianis does all her own tweets. 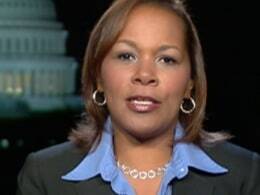 She said her tweets are mostly about her work (follow her at @jbrownedianis), and every now and then she'll slip in a tweet or two about Scandal. It was really great to hear that a dynamic leader like Judith Browne Dianis writes her own tweets and doesn't rely on some intern or Communications Assistant to do it for her--and I wish more organizational leaders did the same thing. What I love about Judith Browne Dianis' Twitter page is that she tweets mostly about her civil rights work. This allows her to brand herself as a thought leader in that area, and as a voice of authority in civil rights and social justice. There's nothing wrong with having a social media person on staff that handles the day-to-day management of your organization or company's Twitter page. There's also nothing wrong with having that same social media manager help the CEO or ED with their own tweets. But the difference is that the social media manager doesn't always get the voice of the ED exactly right. When a leader tweets for themselves, they can create an authentic voice that doesn't seem canned. Twitter is about conversations so it's important to sound like a human being and not a machine spitting out 140-character messages every hour or so. Most Twitter users are just regular people. Maybe they are connected to the progressive movement. Maybe they saw you on Melissa Harris Perry that one time. Maybe they visited your store. In any case, these are every day folks who want to hear from you. They are following you because they want to know what you have to say. Why not use twitter to talk back to them and start a conversation? I'm not suggesting that having an organizational leader do their own tweets is necessarily easy. Time has to be set aside for training him or her so that they aren't intimidated by the medium and be put at ease. But more importantly, leaders must be trained on what to tweet and what not to tweet (which is another post for another time). What other way can organization and business leaders use Twitter? Are there leaders on Twitter who are using the medium very well (or perhaps not so well)? Name them in the comments!